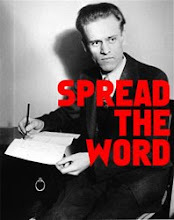 The border between Mexico and the United States is currently a raging storm; a storm of such intensity that many things previously under the waterline have whipped up to the surface. As the deep extent of drug-trafficking and gang violence is revealed, a unique religion has also received unprecedented media attention: the worship of the Most Holy Death, sometimes called La Nina Blanca but more commonly referred to as Santa Muerte. Mexican culture has always had a unique relationship with the concept of death, dating back to the time of the Aztecs. The ancient celebration of Mictecacihuatl, queen of the underworld in Aztec mythology, fused with Spanish Catholic traditions to become the modern Day of the Dead festival, held every year on November 2nd. During this time, it is believed that the souls of the dead can commune with the living and join in with the prayers. It's also a commercialized bonanza, with a plethora of a skull-adorned and skeleton-themed merchandise available for both the Mexican citizen and the American tourist. In keeping with the blending of Aztec and Spanish traditions, Santa Muerte owes equal measure to Mictecacihautl and the Virgin Mary. While occasionally depicted in a masculine form reminiscent of the Grim Reaper, Santa Muerte is almost always a female skeleton draped in colorful gowns. Her shrines typically have a carved wooden representation, dolled up in wigs and dresses. She's a fickle goddess, prone to jealously and spite, and unimpressed by virtue. 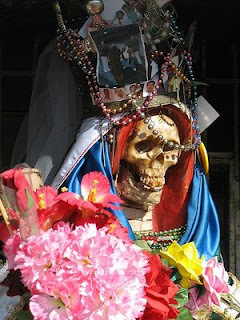 One can only remain on Santa Muerte's good side through the liberal use of offerings. She is particularly fond of tequila, cigars, candy, fresh fruit, and marijuana. 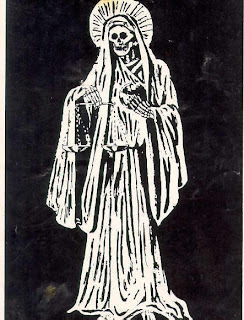 One can also purchase a variety of icons, cards, and tokens in Santa Muerte's image to better facilitate prayer. In exchange for allegiance and reverence, Santa Muerte is said to lend a cadaverous hand in financial matters, protect the family from crime and violence, and aid in the recovery of stolen property. The Catholic Church had condemned Santa Muerte as a pagan diety, and assert her worshippers are practicing "black magic." While the Church is fine with weekly symbolic cannibalism, the notion of a garishly dressed skeleton is clearly over the line . Believed to have emerged in the 1940's, the worship of Santa Muerte is largely confined to the impoverished and crime-ridden bordertown slums in Mexico and United States. Like the folklore figure Jesus Malverde (a drug-trading hybrid of Robin Hood and Jesus Christ), Santa Muerte has been widely adopted by the drug-traffickers, kidnapping gangs, and prostitution rings that operate out of these areas. While anthropologists have been studying Santa Muerte for years now, "La Nina Blanca" has come to prominence due to the recent crisis at the border. On March 24, 2009, the Mexican authorities destroyed thirty shrines in Tijuana at the behest of the surrounding communities. A self-appointed Santa Muerte church leader from the town of Tepito responded by announcing a "holy war" against the Mexican government and the Catholic Church. In turn, the Mexico City Archdiocese released a statement labeling the followers as "terrorists." In an effort to distance themselves from the inflammatory statements from Tepito, small groups of Santa Muerte worshipers have taken to the streets to hold parades complete with Santa Muerte effigies. Whether or not this will develop into a religious schism has yet to be seen. "I wish I was in Tijuana eating barbecued iguana." 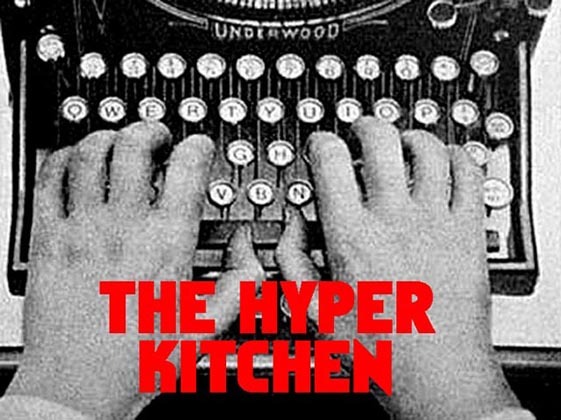 I'm on a wavelength far from home"
Proof positive that the Hyper Kitchen should be required reading for pretty much everybody.